Age impacts the body in so many ways, and unfortunately it doesn’t spare the skin. After years of sun damage, muscle contractions, diminished collagen production, and the natural effects of aging, it is inevitable that your skin will display the proof of so much stress. But you don’t need to feel defeated by the unstoppable forces of age. Juvederm Vollure XC is one of the many dermal fillers approved by the FDA to fight signs of aging. In particular, Juvederm Vollure XC is the first and only hyaluronic acid filler using Vycross technology for the correction of moderate to severe facial wrinkles and folds that lasts up to 18 months. If you are frustrated by the wrinkles and folds that are becoming carved into your skin, Vollure can reverse the damage and help you feel years younger. Vollure can be used to treat bothersome nasolabial folds and marionette lines. 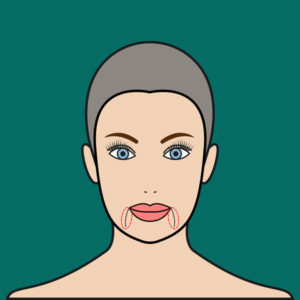 Nasolabial folds are the deep lines that run from the side of the nose to the corners of the mouth, while marionette lines run downward from the corners of the mouth. Since these folds tend to be deeper than other wrinkles around the face, they can only be effectively filled with a durable and advanced dermal filler like Juvederm Vollure XC. Vollure is composed of hyaluronic acid, one of the naturally existing components of healthy skin that encourages hydration and volume. It utilizes Juvederm’s special Vycross technology, which blends high and low molecular-weight hyaluronic acid to create a more connected gel that can be subtly molded to lift the sunken skin that forms deep folds. This Vycross technology creates an incredibly durable Vollure hyaluronic acid gel that allows results to be maintained for 18 months or more! Vollure XC reduces wrinkles, folds, and lines so efficiently that you’ll happily schedule a touchup appointment every two years to keep your results looking flawless. Younger and older women alike take advantage of this filler to either reduce the onset of facial folds or reverse the folds that have formed over time. Better yet, Vollure contains a small quantity lidocaine to minimize any pain associated with the injection. Thanks to lidocaine, the Vollure treatment is comfortable and easy. Furthermore, studies have shown that the new Vollure formulation causes less inflammation after treatment than other hyaluronic acid fillers. This is truly the dermal filler that you’ve been waiting for to turn back the hands of time. Hermann Wellness prides itself on providing the best and most comprehensive Tampa aesthetic medicine services, including dermal fillers like Juvederm Vollure XC. To benefit from Dr. Hermann’s expert injection skills and make your wrinkles disappear instantly, just call (813) 773-8314 to make your appointment today!